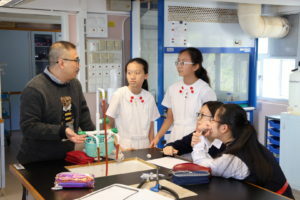 We have recently worked collaboratively with the Education University of Hong Kong to organize a series of STEM workshops for our S.1 and S.2 students. For S.1, students need to design and make a device that can solve problems in the preparation of cooking. 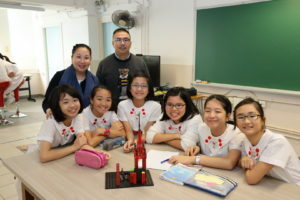 Through this project, they are able to learn the skills of 3-D printing and apply them in their design. For S.2, students need to design a smart planting device that helps plants to grow better. 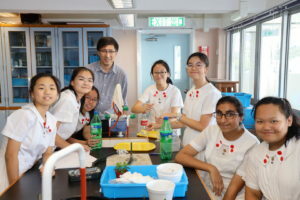 Through this project, participants need to apply what they have already learnt about Photosynthesis as well as skills in handling Micro: bits. 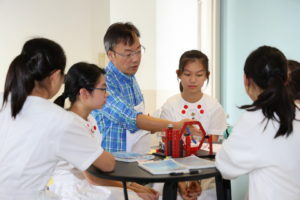 Our school-based STEM curriculum enables our students to find fun in Science and Technology learning and apply what they have learnt to solve daily problems.